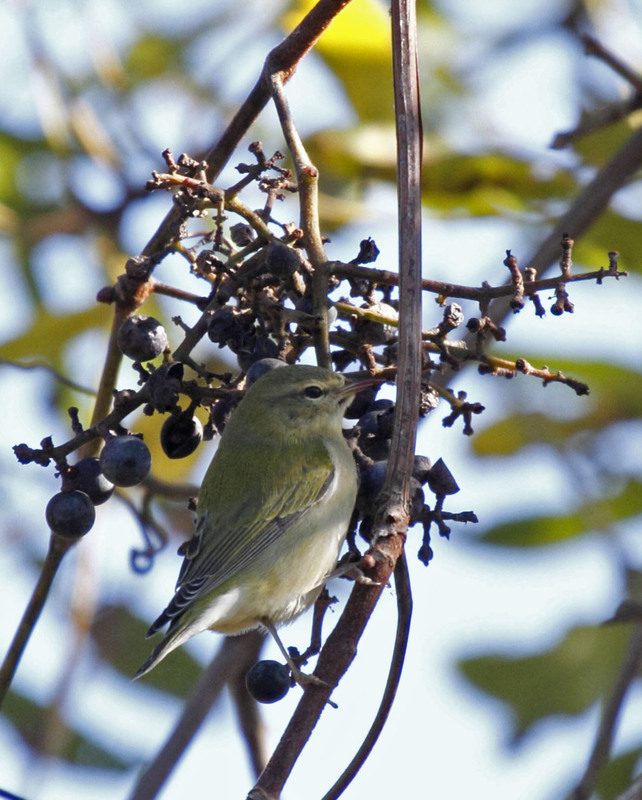 Higbee beach is the place to be in fall migration. We go most weekend mornings and arrive just after sunrise. This new Daylight Savings Time schedule is great because we really don't have to be there before 7:30 or so. 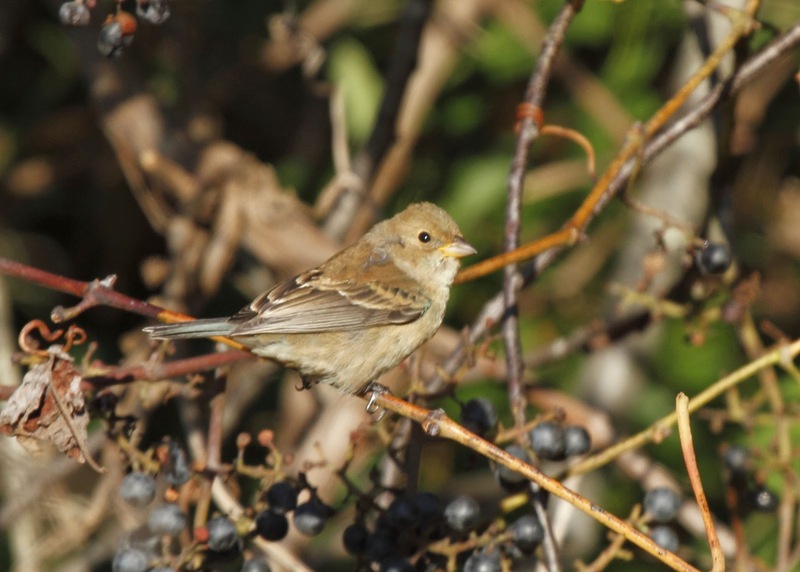 This weekend was particularly spectacular - not for the diversity of species, but for sheer numbers of birds. NJ Audubon and other researchers have a guy stationed up on the dredge spoil mound counting birds as they fly by. He counted 31,000 Yellow-rumped Warblers on Sunday morning. He counted 7,600 Robins. And hundreds of other birds too. Mind you, he only counts until about 11 AM. On Monday, he added another 10,000 Yellow-rumps and 8,700 Robins plus others for a total of 60,000+ birds over the 2 mornings. That's alot of birds folks! Birders and a few fisherman are usually the only people around Higbee beach that early in the morning, but Sunday was a bit unusual. There were trucks and workmen and boats and ATVs in the parking lot when we arrived. 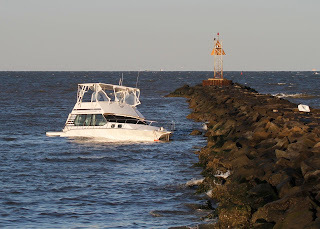 It seems like some old guy drove his boat into the Cape May canal jetty on Friday night and sunk it. The workmen were there trying to figure out how to get it towed. This guy didn't miss by a little bit. He missed by alot! 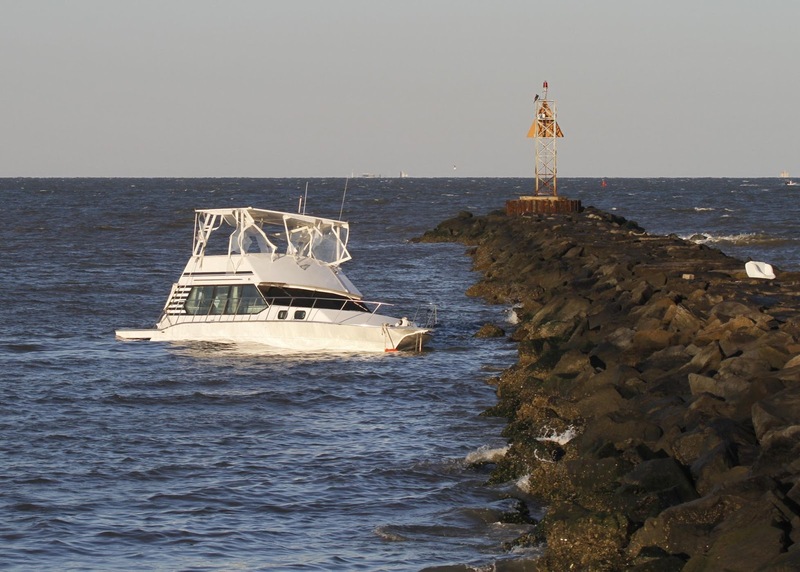 Look where he hit the jetty. The beach is just out of the picture at the bottom of the frame. Back in the fields, we just stood there looking up watching birds fly overhead. Some of them landed but most kept flying. Here are a few photos of the birds that landed. Unfortunately, it is really hard to capture the flight in photos or even video. It is just too expansive to document. You'll have to experience it for yourself sometime. Here are 2 birds that look the same from a distance, but are quite different species. 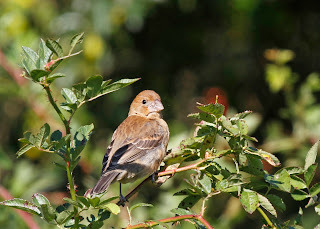 The first bird is Blue Grosbeak (notice the big beak). The second bird is Indigo Bunting. Both birds are bright blue in spring/ summer and dull tan/brown in fall/winter. 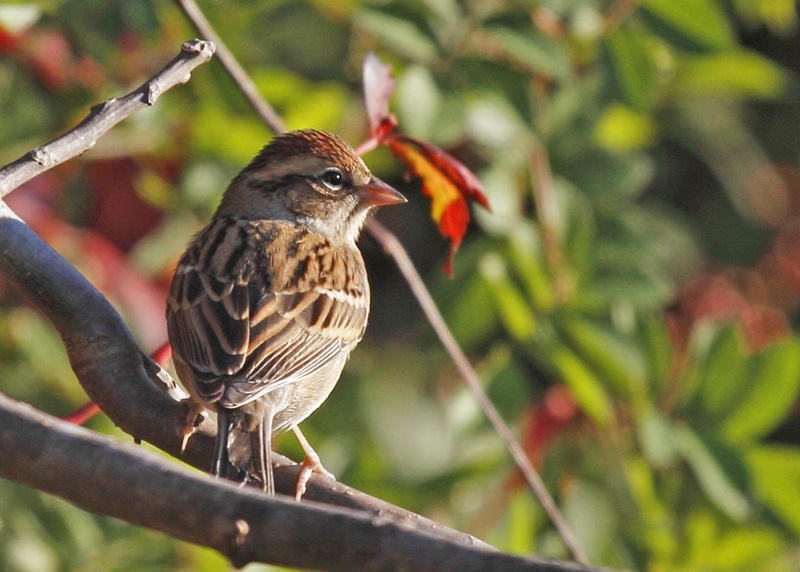 Here are a few sparrows. 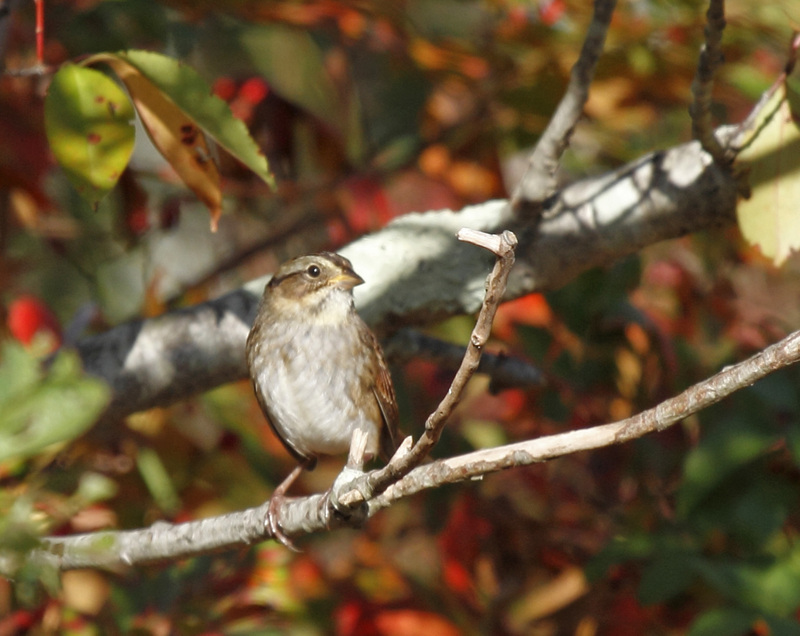 The first bird is Swamp Sparrow. The second bird is Chipping Sparrow. 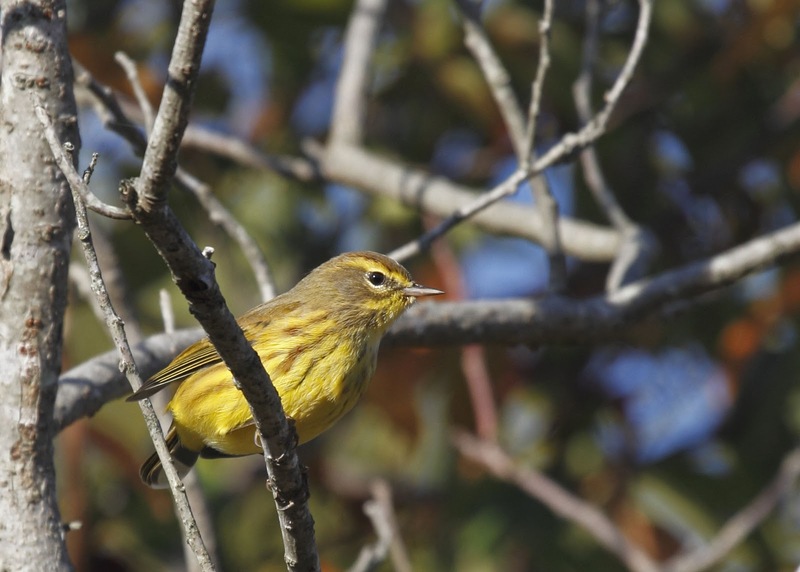 We probably saw over 1,000 Yellow-rumped warblers in the trees and in the field on Sunday. Here are a few other species that actually landed. The fist bird is Tennessee Warbler - kind of dull olive and plain looking. The second bird is Palm Warbler. These birds can be kind of dull and plain too, but this guy was still in his yellow and chestnut finest. Finally, here are another pair of birds that look similar. 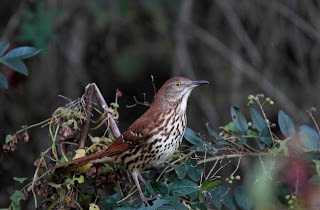 Mocking bird is first and Brown Thrasher second. 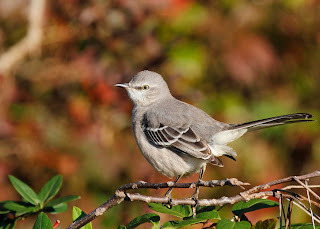 This is probably one of the best photos I have of Mockingbird. 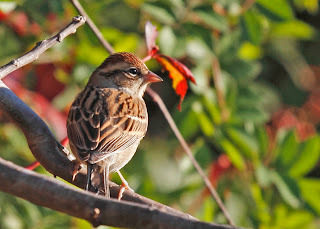 Even though they are common birds, they are still fun to photograph. The Thrasher photo was a coup for me. They are usually hidden behind bushes and branches making it difficult to get a decent photo. Neither of these photos are barely cropped. Both birds popped up pretty close and posed nicely. Stay tuned. I have alot of stuff coming at you this week. More from last weekend AND something very different coming up next weekend. You make me wish that I had what it takes to be a birder. Great pictures. What camera and lens did you use to shoot the siskin pictures? I'm in the market for a lens and would be happy with results half as good as yours. Hi Rob -- thanks for the note. I use a Canon 7D with Canon 100-40mm IS lens. It seems to be the most common set up for birders. I like it because it is lightweight and takes really good shots. The autofocus gives me trouble sometimes but I think that is me more so than the equipment.